Medical historian and popular blogger Lindsey Fitzharris narrates the quest of a tenacious 19th-century doctor to save his patients; in the process, he transformed the world of surgery and medicine. To judge from The Butchering Art, a fine and long overdue biography of the great physician Joseph Lister by Lindsey Fitzharris, the answer might be a much more domestic corner of empire: the Victorian teaching hospital ... Ms. Fitzharris, a historian of medicine, is occasionally fuzzy on clinical matters ...she avoids the more problematic aspects of Lister’s career, most notably his opposition to female medical students... But her biography of Lister restores this neglected champion of evidence-based medicine to a central place in the history of medicine ...a formidable achievement — a rousing tale told with brio, featuring a real-life hero worthy of the ages and jolts of Victorian horror to rival the most lurid moments of Wilkie Collins. This book tells a gripping tale of scientific and medical endeavour — but the squeamish reader should be warned in advance that Lindsey Fitzharris does not stint on the gory details ... In fact, as Fitzharris’s painstakingly detailed descriptions of life in hospitals and industrial cities make clear, germ-harbouring dirt and waste were a permanent feature of everyday life. She paints a vivid picture of the stench and horror of the London that Lister knew as a medical student ... Lister, described by a contemporary as 'modest, unmasterful, unassuming' doesn’t exactly leap off the page of this otherwise eye-popping book. 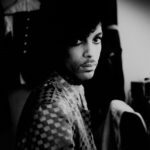 But his achievements echo down the years in all sorts of unlikely ways. The book makes no bones (pun unfortunately intended) about what you'll find inside — it's subtitled Joseph Lister's Quest to Transform the Grisly World of Victorian Medicine, so you're duly forewarned ... At heart, it's a slender but effective biography of Lister, the sort of comforting historical figure more interested in his work than his legacy ... The Butchering Art traces Lister's lifelong obsession with finding an antiseptic treatment, a quest balanced somewhere between serendipity and Sisyphus... Lindsey Fitzharris tries to paint a vivid picture without unnecessary gore, but so much gore is necessary...very careful to emphasize the many threads of scientific study that come together in a sea change like this one ...in an era where science is as much a battleground as it was two centuries ago, there is something that feels vital in a book about horrors everyone accepted as the costs of doing business, and the importance of persistence in seeing results. 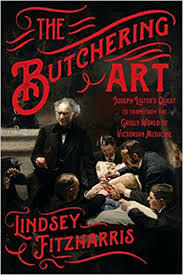 What did you think of The Butchering Art: Joseph Lister's Quest to Transform the Grisly World of Victorian Medicine?